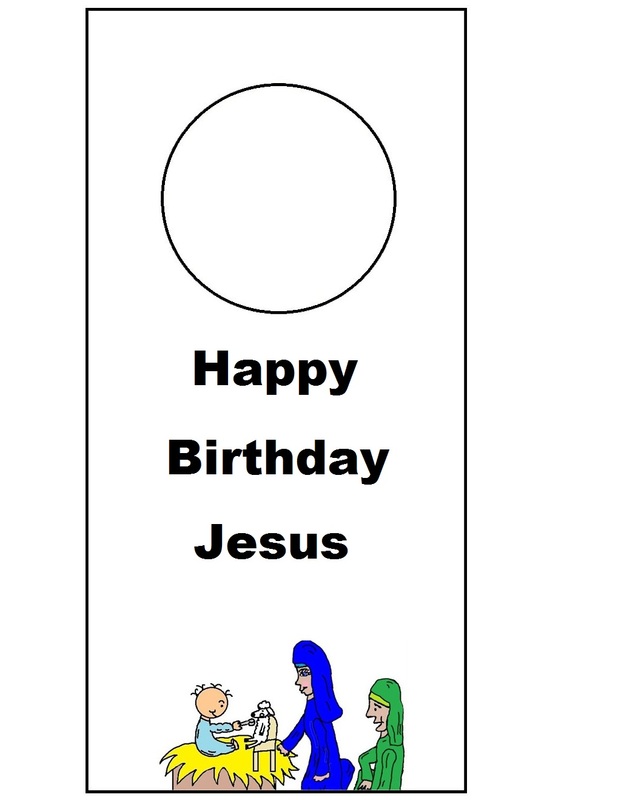 Just print the Happy Birthday Jesus Doorknob Hanger out and have the child cut it out. Be sure to print this on cardstock if you want it to hold up. Or you could print on regular printing paper and just laminate it. Let the child hang it on their bedroom doorknob. 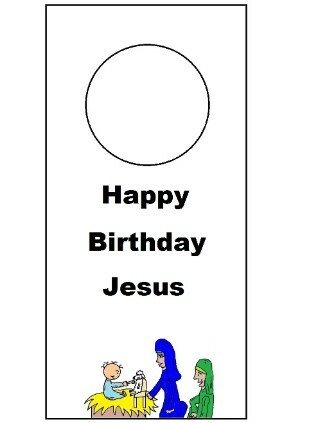 Combine this with our Happy Birthday Jesus Lesson. Comes packed with crafts, coloring pages, templates, snacks, mazes and more.